Diana Slickman is known to her friend as “Slick.” If you are her friend, you should call her that. 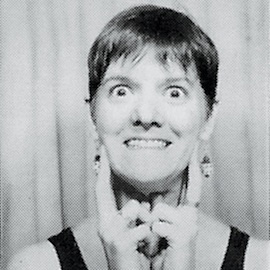 Diana a Theater Oobleck ensemble member and has been in many of Oobleck plays, most recently Mickle Maher’s Song About Himself. She is also, like fellow Neo alums Stephanie Shaw, David Kodeski, and Rachel Claff, a member of solo performance group BoyGirlBoyGirl.